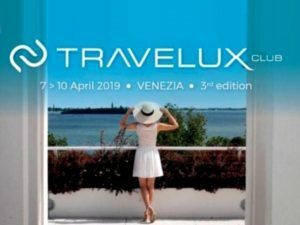 Presented in Milan the Travelux event-club by Nebe in Venice, from April 7th to 10th, 2019. 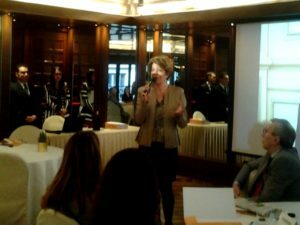 Park Hyatt in Milan hosted the press conference for the presentation of Travelux 2019, the event-club by Nebe dedicated to leisure market that will take place at JW Marriott Venice Resort & SPA from April 7th to 10th. Travelux is the spring event-club organized by Nebe in order to give luxury tourism international buyers the opportunity to know the most exclusive and refined venues in Italy. Elisabetta Neri, partner and co-founder of Nebe, presented the event that is limited to 200 participants in total – buyers and exhibitors – so as to give everyone in 3-days event the chance to get to know one another also outside of the business appointments. Apart from the scheduled dates, it is also included a networking afternoon in Venice and a gala dinner at Fondaco dei Tedeschi cured by a starred chef. The press conference has been also the occasion for Elisabetta Neri and Fulvio Bettini to remind Nebe’s next events on the calendar: Meet the Best in Florence in October dedicated to top-spenders in MICE field, DiVino in November in Verona dedicated to the Italian “wine hospitality”. Simone Giorgi, general manager of Park Hyatt Milan welcomed journalists at their arrival. So did Markos Tzamalis, general manager of JW Marriott Venice Resort who introduced the particularity of the hotel and the Island of Roses that houses it, a 16 hectares’ green oasis with a breathtaking view of Venice. Buyers will get to discover an unusual Venice, close to all the tourist attractions but away from the crowd, in a luxurious and quiet park. NEBE, a Venetian company founded in 2008 by Elisabetta Neri and Fulvio Bettini, is specialized in B2B events for the Luxury Travel and Mice Excellence industry. 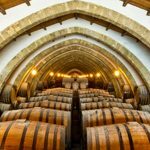 NEBE’s mission is to create events that may establish efficient relationships and business opportunities between suppliers (hotel, historical mansions, destinations, promoting authorities, services agencies) and qualified Italian buyers, but especially international.